For the 52-weeks ended Nov. 4, 2018, ice cream generated $6.8 billion in retail sales, up 0.2% from the previous year, with unit sales up 1.1%, according to IRI. Novelties experienced $5.2 billion in retail sales. Dollar sales increased 4.2%, while unit sales were up 2.3%. New products that provide flavor adventure and better-for-you and the earth brands are fueling much of this growth. Let’s explore three formulating concepts gaining traction in the marketplace. 1. Dairy-Free. The IRI retail ice cream and novelty sales include dairy and dairy-free products, with the latter increasingly being offered by traditional dairy brands. Consumers who want to mix up their diet with dairy and plant-based products, or households that may have a dairy-allergy, dairy-intolerance or dairy-avoider member appreciate the dairy brands they have come to love and trust offer dairy-free options. It’s smart business to keep dairy brands in both refrigerated and frozen dairy departments. 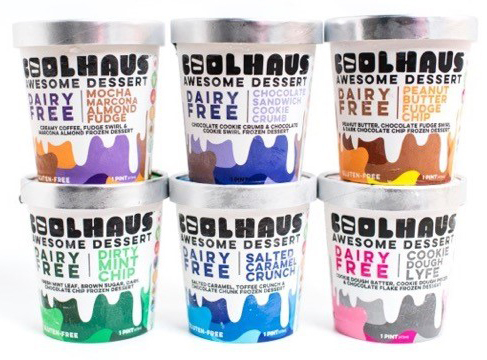 One of the most recent dairy brands to enter the dairy-free space is Coolhaus, which is well known for its premium cookie sandwiches, pints and bars. Like its dairy products, the new plant-based line is thoughtfully crafted with the highest quality ingredients for a superior creamy texture. The dairy-free line is made with a base that differentiates itself from other vegan ice cream brands on the market by introducing unique ingredients, such as organic cocoa butter, pea protein and organic whole grain brown rice. The dairy-free line continues the brand’s endeavor to adopt more sustainable practices to keep the earth healthy. 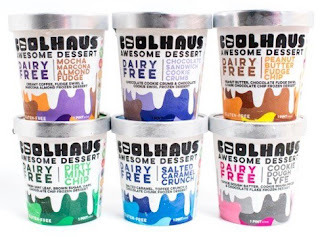 Earlier this year Coolhaus received a certificate from the Culver City Sustainable Business Program for its “Going Green” initiatives, and now the brand is channeling that same energy into dessert options with environmentally conscious and sustainably sourced ingredients. 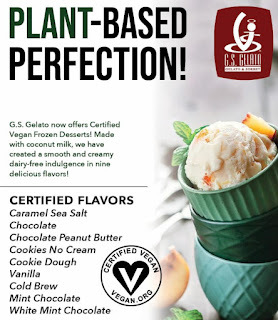 Dairy-free pint flavors include: Chocolate Campfire S’Mores, Chocolate Sandwich Cookie Crumb, Cookie Dough Lyfe, Dirty Mint Chip, Mocha Marcona Almond Fudge, Peanut Butter Fudge Chip and Salted Caramel Crunch. The dairy-free cookie sandwich flavors are Cookies and Cream with double chocolate cookies, Cookie Dough Lyfe with chocolate chip cookies, Dirty Mint Chip with double chocolate cookies, Horchata with Snickerdoodle cookies and Tahitian Vanilla Bean with chocolate chip cookies. Each pint is priced at $6.99, while sammies are priced at $5.49. Jeni’s Splendid Ice Creams is going dairy-free, too. 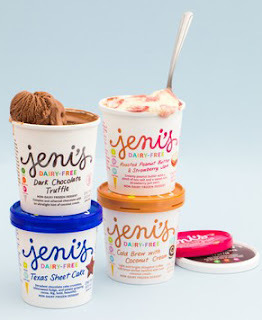 A few years ago, Jeni’s set out to make the best dairy-free ice cream in the world. They tried all the trendy ingredients and none lived up to Jeni’s standards of flavor and quality. Taking a step back, Jeni’s realized its premise was all wrong because it’s impossible to ask ingredients that are not milk or cream to act like milk or cream. They returned to the roots of what it is they do every single day: source the best ingredients they can find and use their expertise to make them shine. This is how Jeni’s came to use pure coconut cream, the most delicate and delicious part of the coconut and the reason the new dairy-free line is so creamy. The dairy-free line is launching in four flavors: Cold Brew with Coconut Cream, Dark Chocolate Truffle, Roasted Peanut Butter & Strawberry Jam and Texas Sheet Cake. G.S. Gelato is onboard. The company now offers nine vegan-certified frozen desserts. Flavors are: Caramel Sea Salt, Chocolate, Chocolate Peanut Butter, Cold Brew, Cookie Dough, Cookies No Cream, Mint Chocolate, Vanilla and White Mint Chocolate. 2. From Farm to Freezer. If there was one big takeaway from Natural Products Expo West 2019 it was that many natural and organic foods consumers appreciate real dairy foods. What many need is permission to enjoy them and that comes from certifications and storytelling. 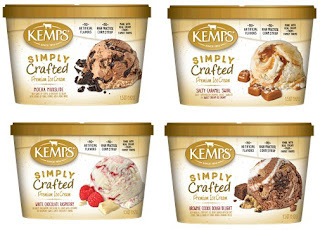 Straus Family Creamery, a pioneer in sustainable organic dairy farming practices, is introducing three new ice cream pints intended for ice cream aficionados who care about the origin, quality and taste of their dairy products. The new flavors are: Chai Latte, Maple Cream and Vanilla Fudge Swirl. 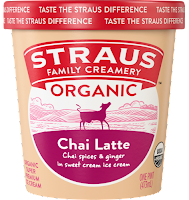 The new flavors expand the company’s organic superpremium offerings to 13 pints and six quarts, all of which feature the pure, rich taste of Straus’ premium organic milk and cream from cows on family farm organic pastures. Each bite represents a commitment to farmer-first business practices, environmental leadership, and premium quality and taste of organic dairy. This keeps those who enjoy dairy’s deliciousness purchasing real dairy ice cream. 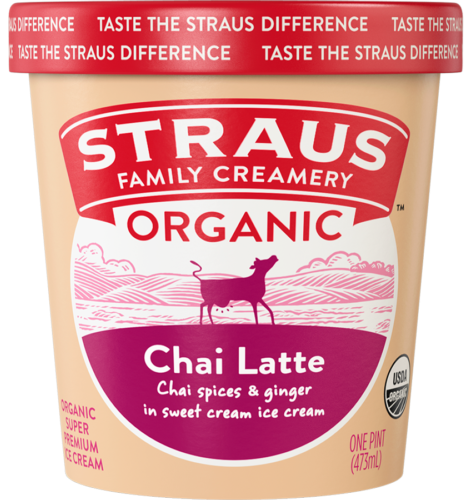 Straus developed ice cream flavors without artificial ingredients and coloring agents that showcase the distinctive sweet taste and creamy texture of their fresh organic milk and cream. The Chai Latte is a blend of Indian spices, beloved in the traditional seasoned beverage, for a classic global flavor. The Vanilla Fudge Swirl has thick and rich chocolate fudge swirls churned into the award-winning vanilla ice cream. The Maple Cream features golden maple syrup, which complements the sweet cream ice cream, evoking a nostalgic American taste. 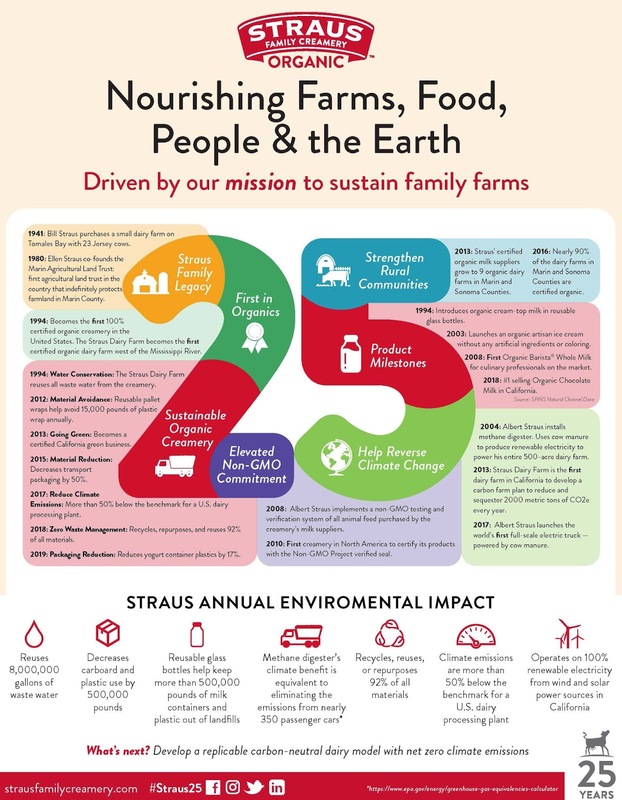 In recognition of its 25th anniversary, the company has redesigned its packaging to more clearly communicate its mission, brand benefits and offer greater consistency across categories. 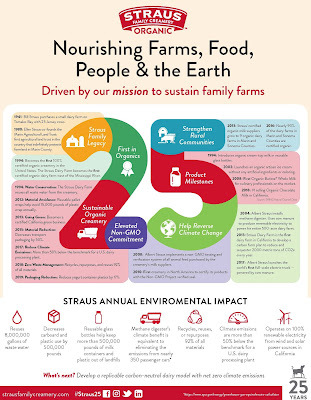 The company is committed to full transparency in its sustainable agriculture and organic family farming efforts, as shown in the accompanying infographic. The company showcases on its website the local family farms who are part of the cooperative. Each of the families is photographed and tells a story. New Kemps Simply Crafted Ice Cream comes in 16 flavors, including: Brownie Cookie Dough Delight, Chocolate Peanut Butter Bliss, Chocolate Chip Cookie Dough, Cookies & Cream Dream, Decadent Chocolate, Mint Chocolate Chip, Mocha Mudslide, Roasted Butter Pecan, Salty Caramel Swirl, Strawberry Rhubarb Cobbler, Summer Strawberry, Vanilla Bean and White Chocolate Raspberry. 3. Keto. While higher-protein, lower-fat, lower-calorie ice creams continue to have a prominent spot in many retailers’ freezers, the number of brands playing in this space does seem to be dwindling, as predicted. What is emerging is a new more indulgent category formulated for the keto diet, a lifestyle diet that is approximately 70% fat, 20% protein, and 5% each simple carbohydrates and non-starchy vegetables. Dairy, especially high-fat dairy, meat and eggs all have prominent roles in the keto diet and thus are growing the presence of animal-based foods in the natural products industry. Many keto foods and beverages include medium chain triglyceride (MCT) fats. These are inherently concentrated in milkfat, in particular grass-fed milkfat, and coconut oil and are well recognized for breaking down fat in the body. 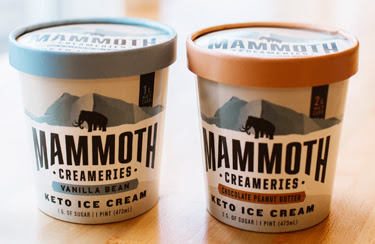 Mammoth Creameries Keto Ice Cream is making its debut in Chocolate Peanut Butter and Vanilla Bean varieties, with Chocolate Chocolate Chip and Lemon joining the lineup soon. The primary ingredients are heavy cream, grass-fed butter, egg yolks and xylitol. A half-cup serving contains 25 to 26 grams fat, 1 to 2 grams total sugar, 5 to 6 grams sugar alcohol and 2 to 3 grams of protein, depending on flavor. The product makes rBST-free, cage-free, grass-fed, no-added-sugar and no-gum claims. Keto works in ice cream because it’s all about the cream, and that’s what makes ice cream delicious. The next few weeks a number of these concepts will be featured as a Daily Dose of Dairy. You can also hear more about them if you attend ProFood Tech and take the time to hear the frozen desserts installment of the Daily Dose of Dairy LIVE. The Daily Dose of Dairy LIVE will be at ProFood Tech, which will be held March 26-28, 2019, at Chicago’s McCormick Place. At this year’s expo, I will make daily 30-minute presentations featuring 10 to 20 of the most innovative products in a specific dairy product category. There are three presentations and each presentation is offered twice at the show. Each presentation includes products not previously featured in the Daily Dose of Dairy newsletter. Sessions will end with a Q&A.